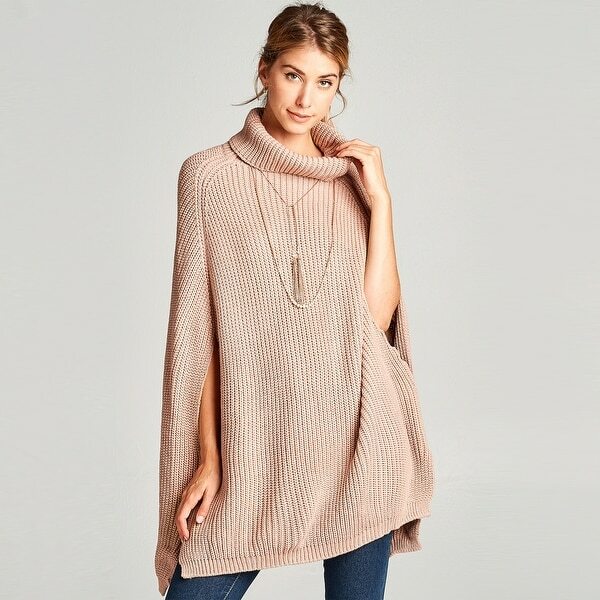 The classic cable knit has been made into an ultra comfortable turtleneck cape sweater. Not only is this super warm; it's super soft and perfect for lounging around or throwing on for a nice weekend brunch. Another Fall classic sweater. Wash in cold. Gentle cycle. Lay flat to dry. See our "Washing Tips and Ideas" page.